Love birds greeting cards with two lovebirds perched on a branch amongst pink cherry blossoms. Oriental lovebirds or I Love You jazzy love bird with aged lace. Making your own love birds cards are so much fun. When I first look at the wood mounted stamp above, I wasn't too enthusiastic about this image. But when I started my love birds greeting cards project, I thought I would use it to make a non-cutesy kind of love card. And yet, retaining a bit of romance in the design. So here's the card I created. Score and fold light brown textured card at 15cm to make a basic square greeting card. Ink bright heart stamp with potter's clay ink and stamp image on square white copypaper. Use a pencil to draw a heart outline around the image on the copypaper. Cut around the pencil line. 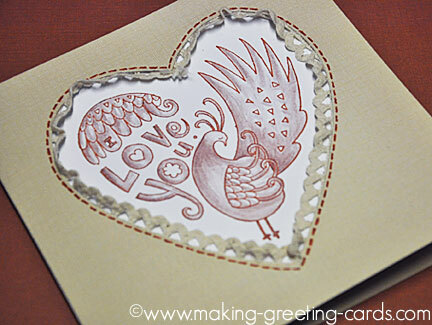 Place cut-out heart image on the front centre of light brown textured card front. 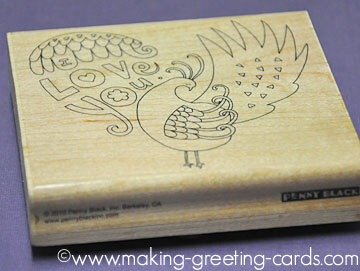 Use pencil to lightly draw the shape of the heart onto the card front. 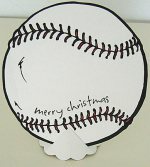 Cut out the heart opening on the card front with a sharp knife or scalpel. Place the square white card inside the card aligning it at the centre of the light brown card. Ink stamp again with Potter's Clay ink and stamp the image onto the white card through the opening on the front of the card. Color images of birds with brown colored pencil. Use double-sided tape or glue to attach the lace to the back of the heart opening. 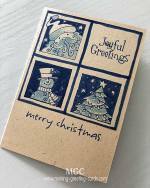 Attach the square white card onto the back of the card front with the image showing on the heart opening in front. Draw brown stitches around the heart opening with brown marker. 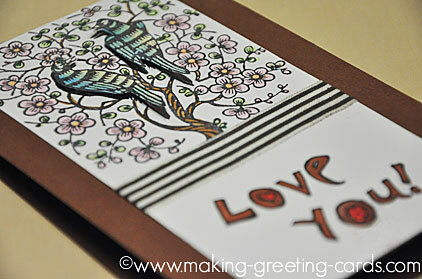 Here's an oriental love birds card - two lovebirds perching on the branches of a cherry blossom tree. Score and fold chocolate color card at 14cm to make a basic card. Ink oriental stamp with tuxedo black ink and stamp image on top portion of white card. Color stamped image with copic markers. Write Love You! with fine black marker at bottom of white card and color with copic markers. 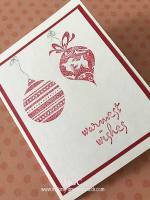 Attach ribbon to white card just below image with double-sided tape. 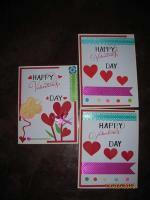 Glue white color card to chocolate card front leaving borders on both sides. Stamp oriental lovebirds on white scrap card. Color and trim. 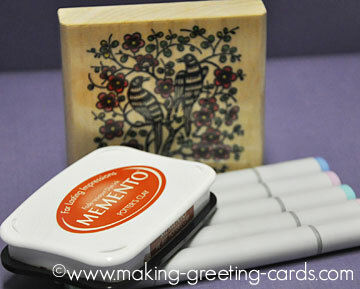 Attach to card front on top of stamped bird images with double-sided foam tape for 3D effect. That's it! 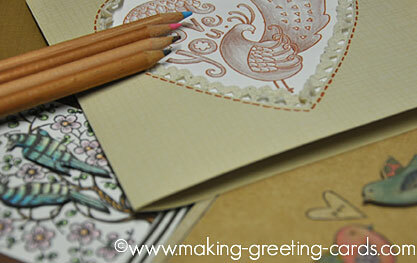 Two easy to make love-birds greeting cards. Singing lovebirds and pink framed love birds greeting cards.